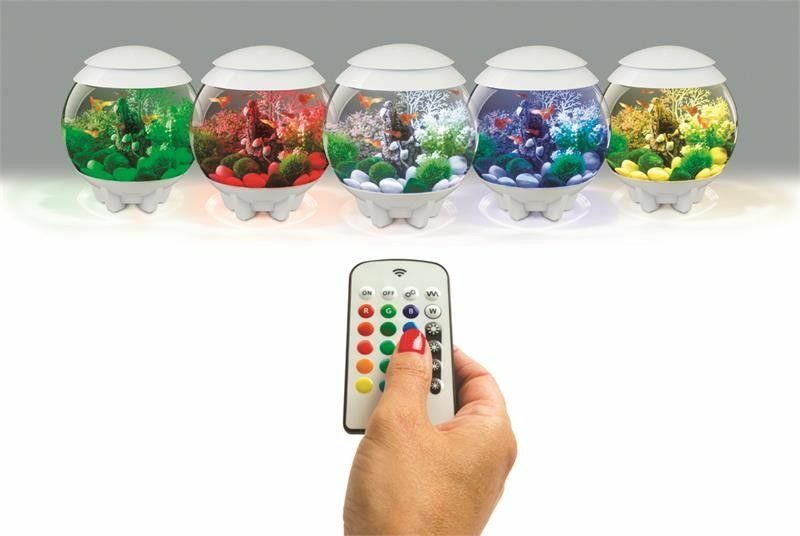 The newest tank at everythingbiorb.com is the BiOrb Halo 15 Aquarium with multi color lighting. This is the newest fish tank that is part of the BiOrb Halo Tank series. This tank is the same size as our Baby BiOrb Fish Tanks but has the design style and lighting features of the BiOrb Halo Fish Tanks. The unique lid of the BiOrb Halo 15 Aquarium hides the waterline in the tank providing a seamless visual experience. What really makes this aquarium experience unique is the multi color led lighting. Using the multi colored light remote you are able to choose any of the sixteen colors given off by the light fixture. You can look at the picture above to see what the 16 different colors are. There is the standard natural LED light and then also 5 shades each for red, green and blue. You can either set the aquarium to a specific color or just let it cycle through all of the beautiful colors. The remote also lets you control the brightness of the light! 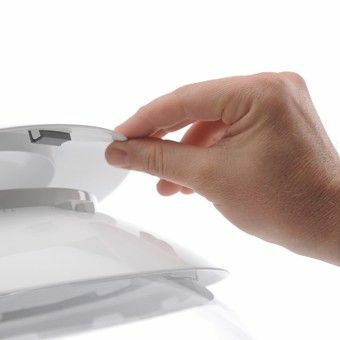 The BiOrb Halo 15L Aquarium’s lid has a magnetic latch with takes away the need for any unsightly latches. This leaves the tank looking sleek and modern. 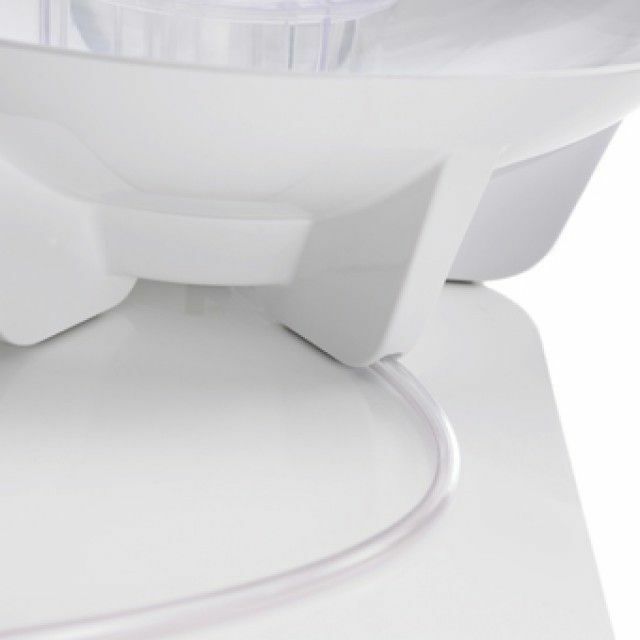 The BiOrb Halo 15L Aquarium’s air line is hidden away out of the foot of the back of the tank, adding to the sleek and modern look of the fish tank. Just like all BiOrb Aquariums the BiOrb Halo 15L Aquarium still has the acrylic structure, which is ten times stronger than glass! Complies with UL, ULC and CE safety requirements. BiOrb Transformer, BiOrb Air Pump, BiOrb Air Stone, BiOrb Ceramic Media 450g, BiOrb Filter Cartridge (Service Kit). Beneficial bacteria liquid (5ml sachet). ‹ No Airflow for your BiOrb Fish Tank? No Problem!